Neil Gershenfeld says: It’s not hard to fold DNA, it’s hard to fold it the way you want. Neil Gershenfeld and George Church (Robert Winthrop Professor of Genetics, Harvard Medical School), Peng Yin (Molecular Systems Lab, Harvard Medical School), Joseph Jacobson (Molecular Machines Group, MIT; Co-founder, Gen9) and Pamela A. Silver (Ph.D. 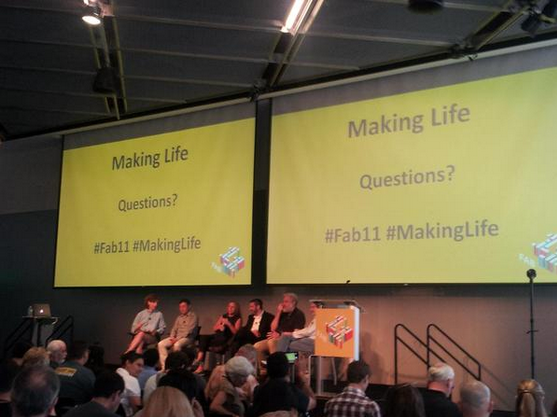 Professor of Systems Biology, Harvard Medical School) talk about the great convergence happening between Fab Labs and Bio Labs at Fab11.